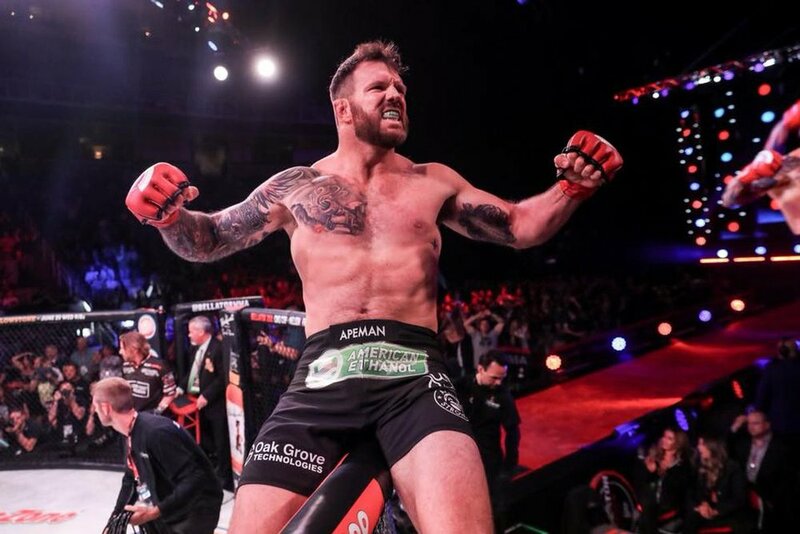 It took Ryan Bader only 35 seconds to put away the legendary Fedor Emelianenko in the main event of Bellator 214. With the first-round KO win, Bader became the new Bellator heavyweight champion as well as the winner of the Heavyweight World Grand Prix tournament. Bader is also now the first ever “champ-champ” in Bellator history, as he already holds their light heavyweight title. In the co-main event, Henry Corrales overcame early adversity to knock out rising star Aaron Pico in the very first round. After his victory, Corrales stated that he wants to fight for the belt next. Ryan Bader def. Fedor Emelianenko via KO (Punches) at 0:35 of Round 1. Henry Corrales def. Aaron Pico via KO (Punches) at 1:07 of Round 1. Jake Hager def. J.W. Kiser via Submission (Arm-Triangle Choke) at 2:09 of Round 1. Juan Archuleta def. Ricky Bandejas via Unanimous Decision (29-28 x3). Adel Altamimi def. Brandon McMahan via Submission (Armbar) at 1:16 of Round 1. Thor Skancke def. Jesse Merritt via Submission (North-South Choke) at 4:26 of Round 1. Jesse Roberts def. A.J. Agazarm by Split Decision (29-28, 28-29, 29-28). Weber Almeida def. Odan Chinchilla via TKO (Punch) at 3:04 of Round 1. Art Rivas def. Sean Johnson via TKO (Strikes) at 4:30 of Round 1. Jay Jay Wilson def. Tyler Beneke via Submission (Rear-Naked Choke) at 1:31 of Round 1. Ryan Lilley def. James Barnes via KO (Head Kick) at 1:03 of Round 1. Craig Plaskett def. Ian Butler via Unanimous Decision (30-27 x3). Desmond Torres def. Steve Ramirez via Submission (Arm-Triangle Choke) at 4:21 of Round 1.